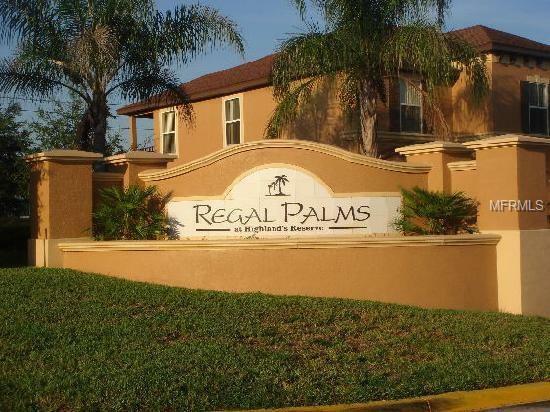 Welcome to Regal Palms, a 24-hour guard-gated, resort community. 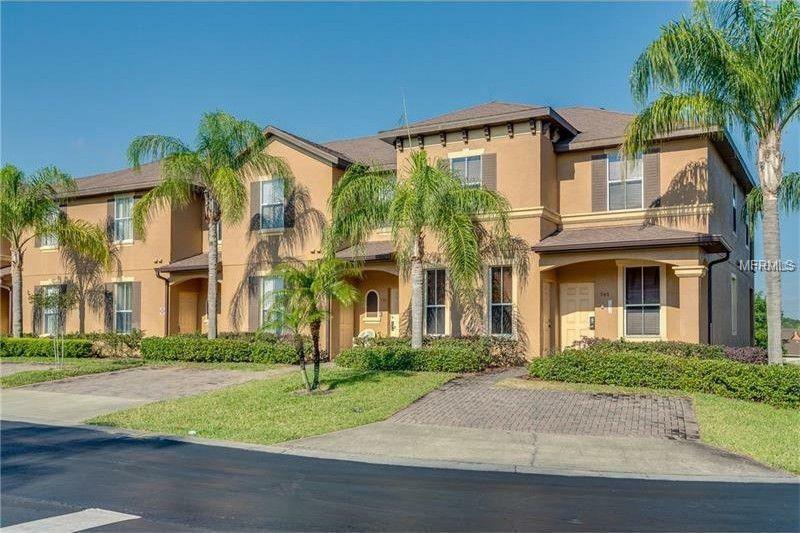 Fully furnished 4 bed 3 bath Townhouse has a spacious floor plan with Ceramic tile throughout the Living room, Dining room & Kitchen. All bathrooms and Bedrooms have carpet. Townhouse has it's own private two car driveway space. Includes furniture and all appliances such as Refrigerator, Range, Microwave, Dishwasher, Washer and Dryer. 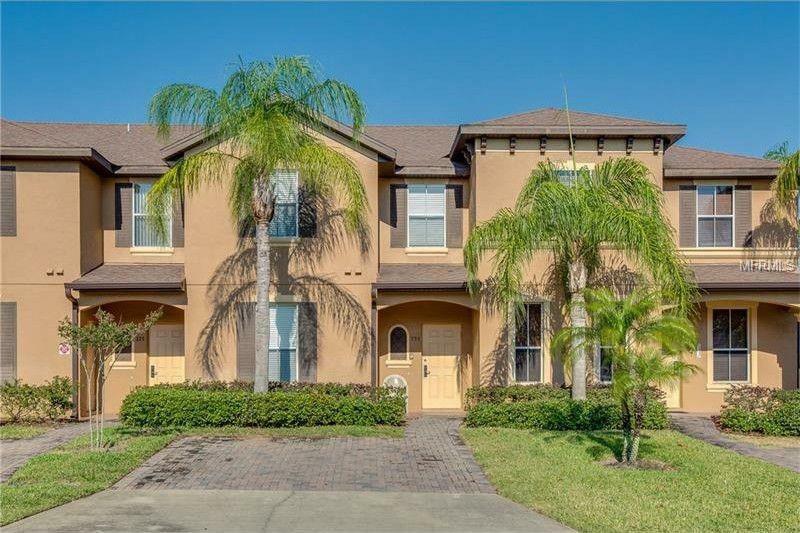 Regal Palms is an exclusive private, gated Resort community located just 15 minutes from Disney World's Main Gate. 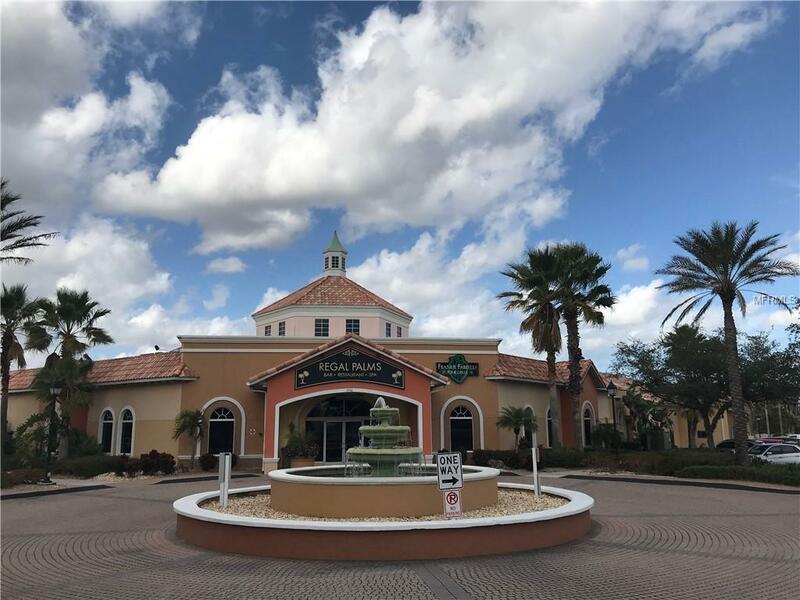 You will be delighted with the 2 1/2 acre tropical swimming pool and lazy river oasis, complete with heated pools, water slide with waterfalls, outdoor & indoor Jacuzzi's. Sunbathing terraces, a playground and a volleyball court with a pool side tiki bar. The fitness center has a therapeutic Jacuzzi, steam room and sauna along with elliptical equipment. The spa allows you to pamper yourself with massage, manicures and pedicures, etc. Inside you can enjoy dining at our restaurant and bar, surf the internet on your laptop using free Wi-Fi, or utilize our business center. Live entertainment (seasonal), event celebrations on holidays and even a market place for the must have items! There is even an arcade! The Guest Services is open 24 hours. Regal Palms is the most highly sought Resort Community in the Davenport area for short term rental. Come check out Paradise today!